Brandywine' is cross between A. rubrum October Glory® and A. rubrum 'Autumn Flame', and was developed by the U.S. National Arboretum. Only sterile flowers are produced in spring, thus no fruit or undesirable messy seedlings. 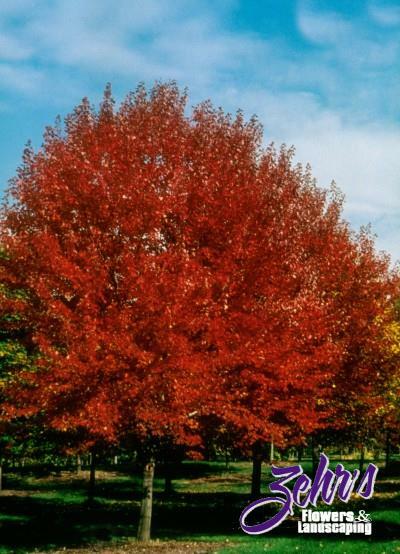 The long lasting fall color gradually turns from red to brilliant reddish purple. A medium-sized shade tree with an oval crown and significant leafhopper resistance. Although adaptable to a wide range of conditions, prefers a slightly acidic, moist, well-drained soil. Excellent for lawn, street, highway and park plantings.